"Maximize your comfort Minimize your sensitivity"
Zoom! 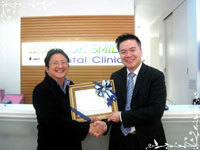 WhiteSpeed is the latest technology of teeth whitening system. With the most advanced LED light technology system, if offers adjustable intensity settings from low, middle to high level. This new technology provides more dramatically whitening results in just one visit and ensures that each patient receives more comfortable experience during treatment. Zoom! WhiteSpeed is the new improved teeth whitening system launched in 2013. This system is internationally certified as the most effective teeth whitening system. The LED light greatly accelerates and enhances whitening results and reduces the side effects from whitening process. 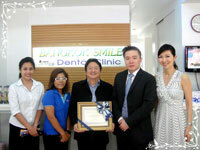 Enjoy now the new teeth whitening experience! What is Zoom! WhiteSpeed™ Teeth Whitening ? How does Zoom! Teeth Whitening work ? Is Zoom teeth whitening safe ? 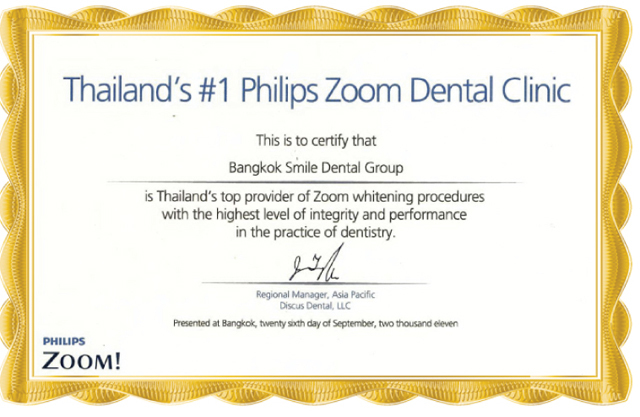 The Regional Manager Asia Pacific from Discus Dental, Mr. Jason Tseng visited our clinic to bestow the Zoom Whitening’s Top Provider certificate in Thailand on October 3,2011 and this can guarantee our excellence in performance and effective results. Transform your Smile to WOW! Wow means getting you to B1* or better into the bleaching shades. For many dentists it's not just about getting teeth a certain number of shades lighter. Today's patients have expectations of getting their teeth white, really white and Zoom delivers. A combination of new cutting edge technology plus over a decade of unparalleled whitening experience went into the new & completely redesigned ZOOM! 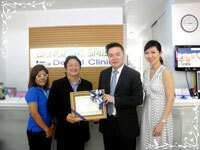 WHITESPEED Teeth Whitening system at Bangkok Smile Dental Clinic. Get READY to ZOOM !